Four cellos together – a great sound. Perhaps something to bring out in the break of an orchestra rehearsal, or on a music course, or even in a sectional rehearsal when the work to be rehearsed has been perfected? Although the first cello part has to play in the treble clef quite a lot, this is a straightforward piece, with no rhythmic difficulties. Emmanuel Moor was born in Hungary in 1863 and was a successful professional pianist, conductor and composer. He toured Europe and the USA and lived in England for twelve years before settling in Switzerland where he died in 1931. 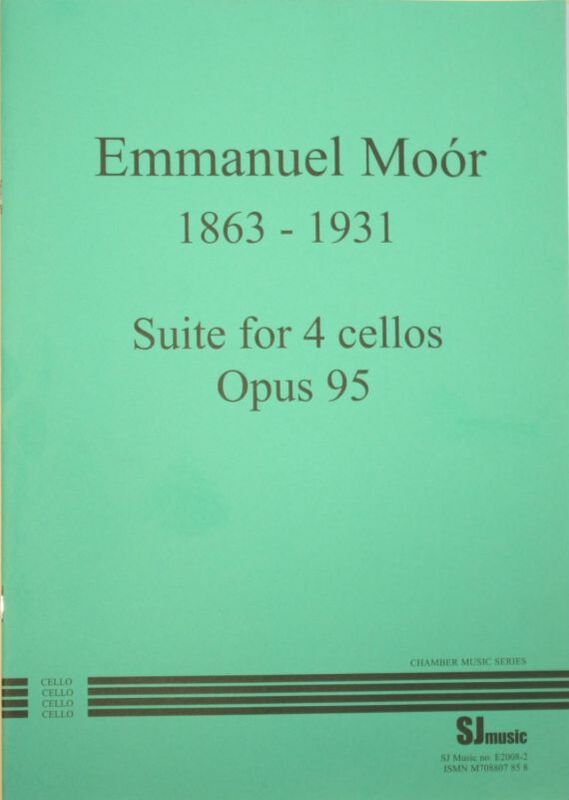 He met Pablo Casals in 1905, and he subsequently played in the first performance of this work with three other eminent cellists of the time in 1909 in Paris.